President Wilson’s note to neutrals registering his belief that the cause of civilization would be furthered by their taking action similar to his, and inviting them to do so. Engine-rooms of German ships interned in Manila wrecked by their crews; 17 German merchantmen taken over by American naval authorities. German counter-attacks at Beaucourt driven off; ground won by British north-east of Gueudecourt. Senussi defeated near the Siwa oasis. Further French advance in St. Pierre Vaast Wood; 600 more prisoners. Russian success south of Dorna Watra. Fierce fighting in Roter Turm Pass, 12 miles within Rumanian frontier. P. and O. liner Arabia sunk in Mediterranean by a submarine, two of crew missing. British operations on the borders of Wadai; Ali Dinar, ex-Sultan of Darfur, killed. German assault on the front Thiaumont-Douaumont repulsed. Germans gain village of Cumières. Italians falling back between the Astico and the Brenta. El Fasher occupied. Mr. Asquith moves eleventh Vote of credit £300,000,000. British occupy 250 yards of German trench on the Vimy Ridge. British force under Colonel Kelly advances on El Fasher, capital of the Sultan of Darfur, Sudan. Sir Roger Casement charged with high treason at Bow-street. German attack on French centre west of the Vaux pond repulsed. Germans capture about 500 yards of British trenches north-east of Vermelles; part of the ground regained. Italian occupation of Mersa Moresa and the port of Bardia on the Mediterranean near the Egyptian frontier announced. 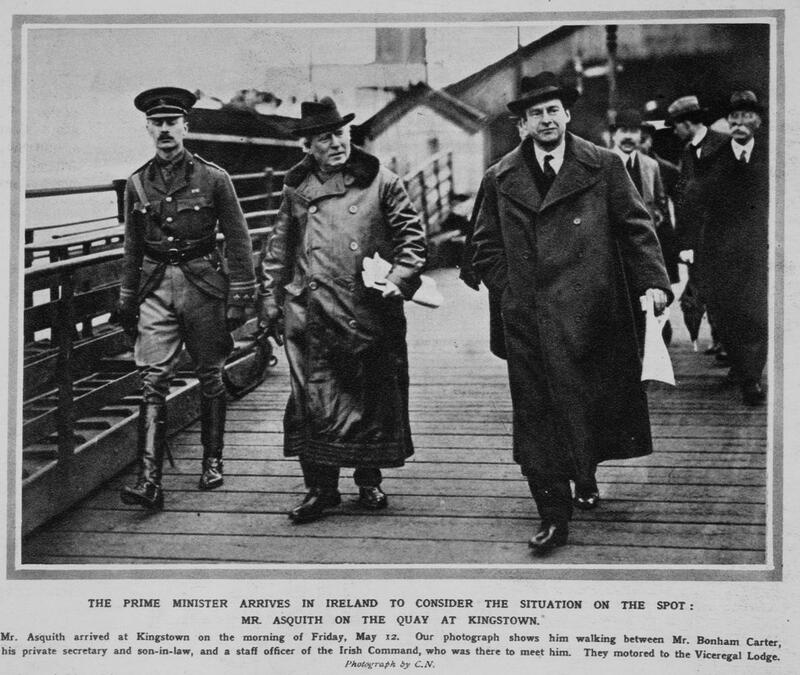 Mr. Asquith leaves for Dublin to investigate the Irish situation. Cross-Channel steamer Sussex, Folkestone to Dieppe, torpedoed with great loss of life. Atlantic Transport Company’s liner Minneapolis torpedoed and sunk. Russians occupy Khizan, 35 miles south-east of Bitlis. War Office announces General Sir A. Murray to command in Egypt, vice General Sir J. G. Maxwell. Germans capture Fort Douaumont, a dismantled fort without guns or garrison, north of Verdun, after desperate fighting. Russians capture Kermanshah between Teheran and Baghdad. Senussi defeated by South Africans under General Lukin, south-east of Barani, Western Egypt.